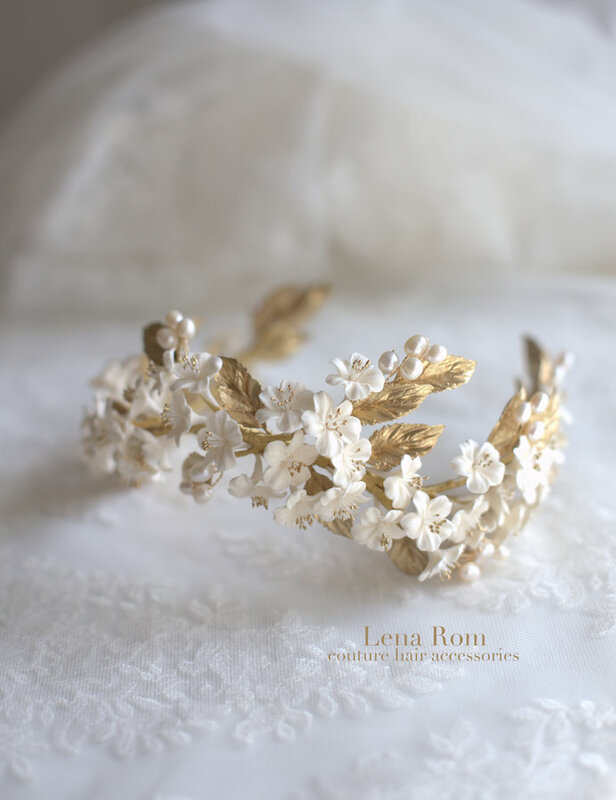 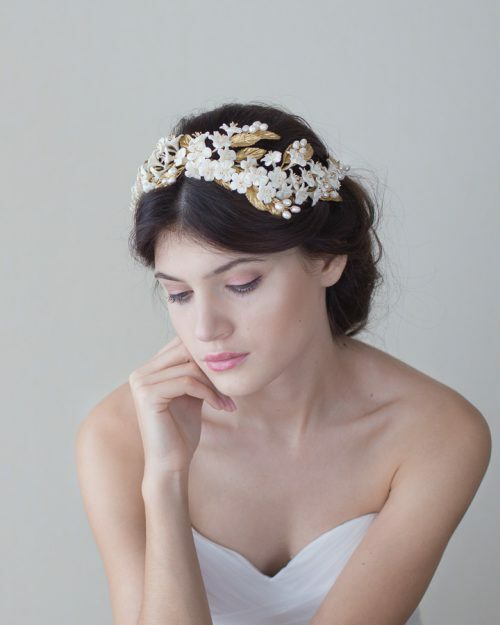 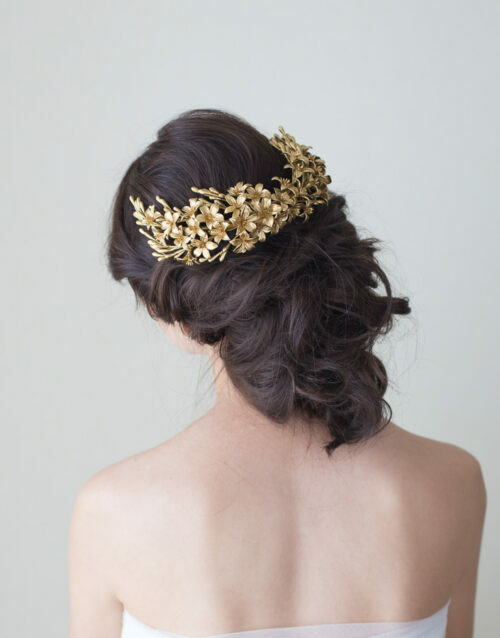 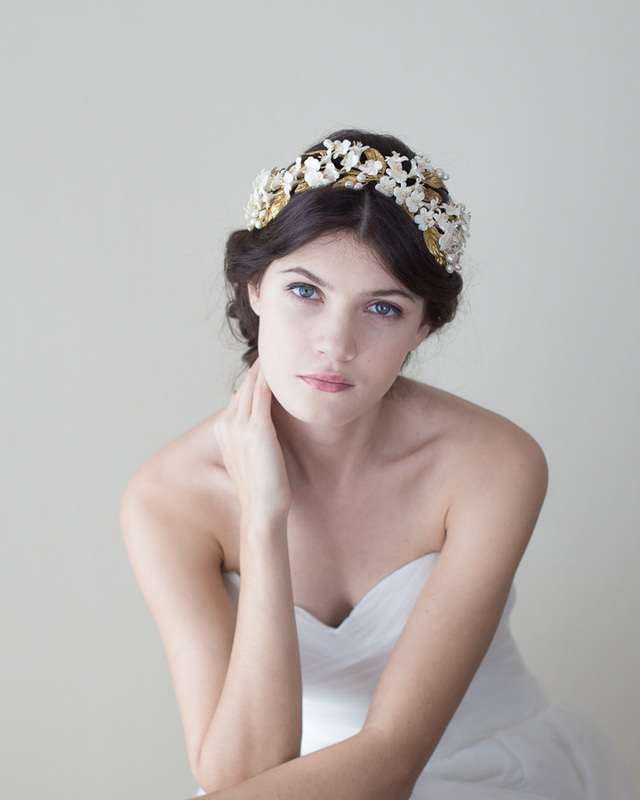 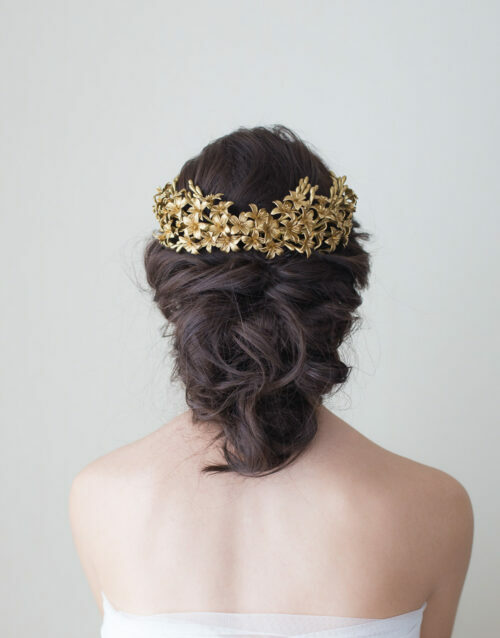 This headpiece has been made of fresh water pearls and cold porcelain clay flowers, being each entirely shaped by hand. 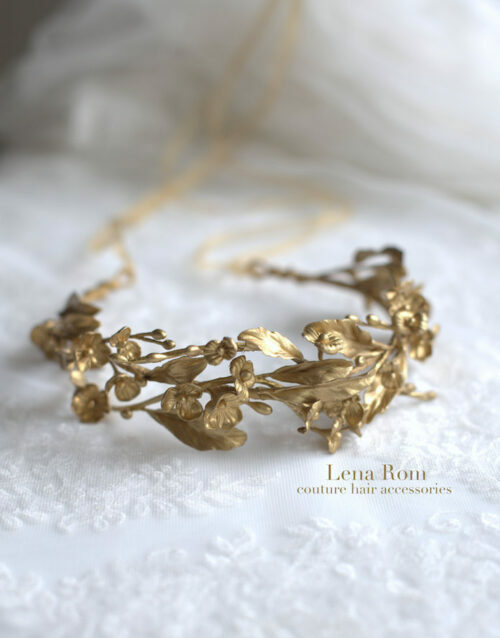 Flowers and leaves made of this material are lightweight, little bit flexible and shatterproof. Each flower is unique as a result of a dedicated by-hand work and therefore, the final result of the product may shows slightly differences on colour and shape to the sample on the photo.